Have a fun, original adventure when you visit Maui! If you love food and want to taste the freshest products on the island, head to these three Maui pineapple farms. If you love food and wish to taste the freshest products we have, then head over to these three Maui pineapple farms! You can even make a road trip out of it. Get in your car, roll down with the windows, and go on an adventure through the countryside. In this blog, you’ll learn everything you need to know about our famous pineapple farms. 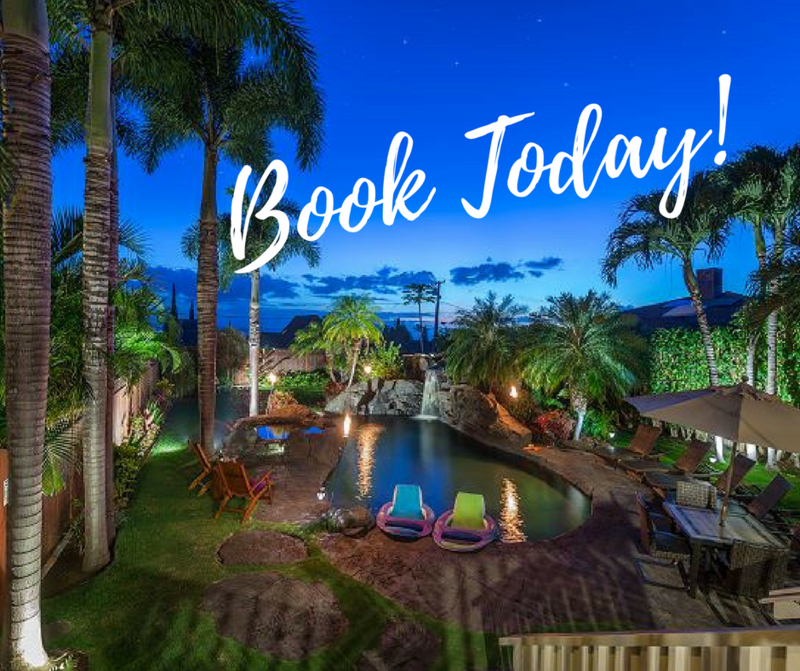 Read on and plan your amazing Maui vacation today! Make sure the odds are in your favor prior to traveling and download our free Destination Guide! This unique planning tool will help you narrow down your search and save you precious browsing time on the internet. Learn where to find the top restaurants, events, museums, stores, outdoor activities, and more! There are two things you need for the ultimate road trip: gorgeous views and a filling breakfast. Luckily, our itinerary offers both! Leave your Kihei condo and head north towards Leoda’s, one of the best pie shops on Maui. This family-operated restaurant offers a plantation-era atmosphere and serves some of the finest pastries and lunch items on the island. Indulge in delicious pancakes and pies before continuing your journey to the Dragon Fruit Farm. The 20-acre Maui Dragon Fruit Farm specializes in growing organic, tropical fruits, including dragon fruit (of course), passion fruit, bananas, papayas, sugarcane, and pineapples. Take a guided tour of the farm and enjoy a delicious tasting in the bamboo gazebo! Tip: Kid-friendly activities are available on the farm! Let your little ones try out the aquaball adventure or a zipline ride. The drive from the Maui Dragon Fruit Farm and the next location on our list is beautiful. Discover the spectacular Iao Valley and its wild, one-of-a-kind landscape! If you have time, we highly recommend stopping at the Iao Needle, an impressive 1,200-foot rock tower with overlooks of the island. Then, proceed to our next stop: the Maui Tropical Plantation! This pineapple farm is the agriculture hub of Maui and gives you the opportunity to learn about it first hand. Board the Tropical Express Train for a 45-minute tour through the property. You can view the lagoon, delight in the refreshing smell of flowers, and taste incredible local fruit! You will even stop by a tiki hut for a 15-minute coconut husking demonstration. Make sure you bring your camera! Tip: The tour and tropical train are wheelchair accessible. 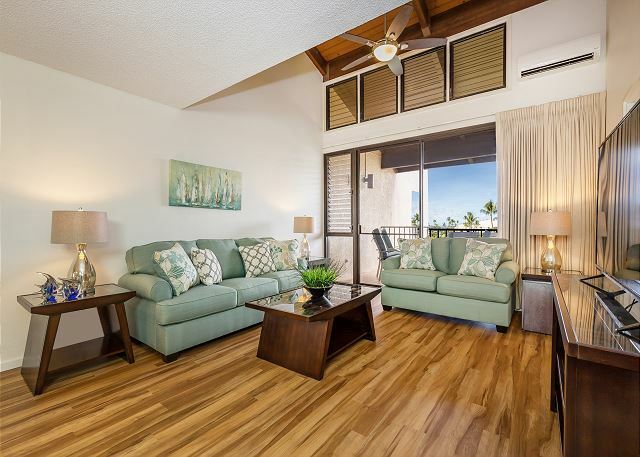 Add Some Zest to Your Life and Stay at a PMI Maui Rental! After a fabulous, pineapple-filled road trip on Maui, it’s time to relax and enjoy all the other activities our island has to offer. Between the relaxing beaches, tropical forests, and the crystal-clear ocean, you’ll feel like you’ve landed in paradise. And, you have! Make your vacation the best it can when you choose PMI Maui. We recommend staying in our Akahi Unit for an easy start to your road trip. 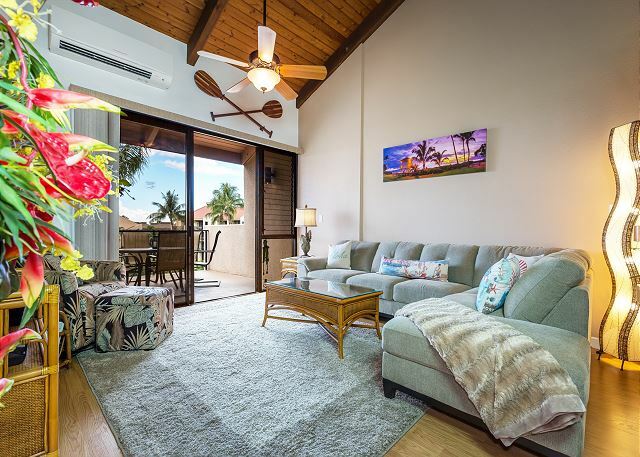 This Kihei rental has colorful pillows and earthy furniture, plus gorgeous views from the balcony and a modern kitchen equipped with all the essentials. 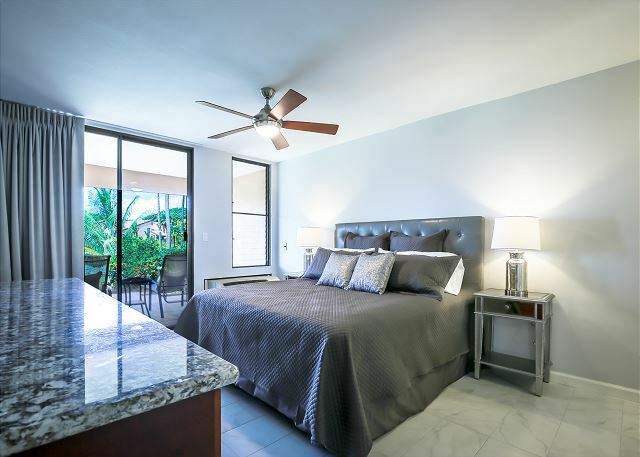 The luxurious bedroom even features a comfortable king mattress. 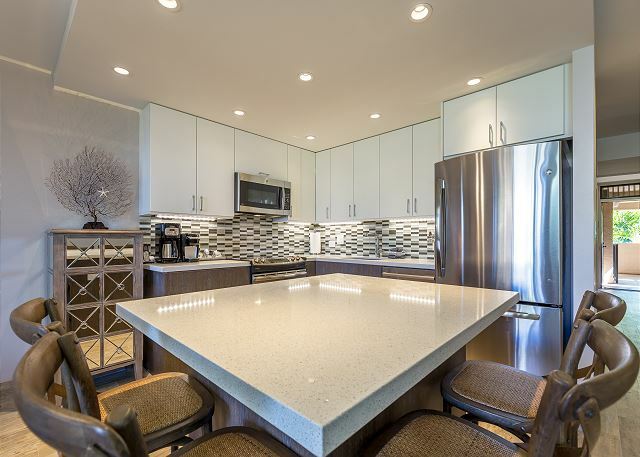 Best of all, this unit has parking, towels and linens, free WiFi, and cable.